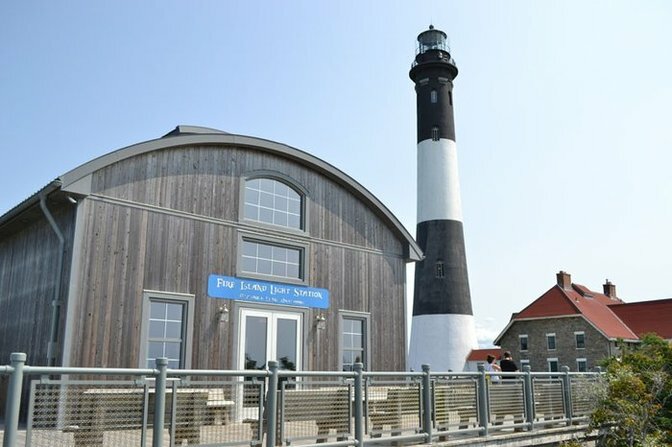 The Fire Island Light Station off Captree Island, NY. Photo by Kelly Tenny via LongIsland.com's Robert Moses Beach Photo Gallery. As Long Islanders, we have our own language, and a lifestyle that we will live by. Whenever we leave Long Island, it seems that someone is reminding us that we have a certain way about ourselves that distinguish us from the City, Upstate New York, and the rest of the world. These quirks that we have are traits that we joke about and often want to add to the list of our distinctions. We are unique and very proud of it too! From Nassau and Suffolk differences to our pronunciation of "Long Island" itself, we can all joke about what it is to be a Long Islander. Don’t know if you are a Long Islander? If you can agree with just a few of the following, you are a Long Islander! ...You go "Out East," "To The City," and "Upstate." ...You can pronounce Hauppauge, Quogue, Patchogue, Nissequogue, etc. ...You are still waiting for the Islanders to win the Stanley Cup (again!) and now would have been a good time. ...You insist you live on Long Island, not in Long Island. ...When you live in Nassau County and are amazed there are no sidewalks in most of Suffolk County. ...You know what a buttered roll is. ...It's not a riddle when you see The Big Duck in Flanders. 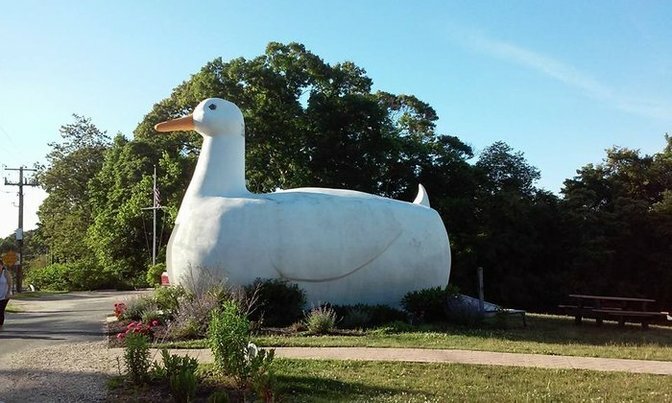 The Big Duck located in Flanders, NY. Photo by Paulette Keith via LongIsland.com's The Big Duck Photo Gallery. ...When you live in Suffolk County and are surprised there are sidewalks in Nassau County. ...Your grandparents live in Florida. ...You can recite every stop from Penn Station to Ronkonkoma on the LIRR. ...A meatball hero is not a sub or a hoagie. ...You have made the trip "Out East" to pick your own apples, berries, pumpkins, etc. ...You’ve been to a Long Island Ducks Game. ...Everyone seems to be on the LIE at 2am. ...Someone in your family came from Brooklyn or Queens. ...You know all the words to every Billy Joel song. ...You have been to Billy Joel's Bicycle Shop. ...Enjoyed a late night drink with your friends at Mulcahy's or The Nutty Irishman. ...Everyone goes out for bagels and schmear over the weekend. ...You've gotten a quick lunch from a roadside food truck vendor. Near the entrance of Jones Beach in Wantagh, NY. 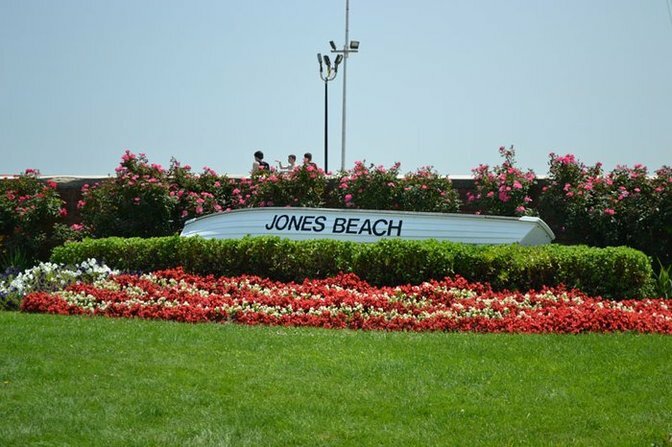 Photo by Kelly Tenny via LongIsland.com's Jones Beach Photo Gallery. ...You listened to the bands playing at Jones Beach. ...You have had a school trip to the Old Bethpage Village Restoration. ...Or the Vanderbilt Museum and Planetarium. ...Or the Gregory Museum, which seemed to only have one room! ...Or Safety Town in Eisenhower Park. They let you drive a car! ...You know that technically Brooklyn is on Long island...but it's not Long Island...it's the city. ...You don’t know why your parents or grandparents tell you not to change trains at Jamaica train station. ...You have been to the Freeport Nautical Mile multiple times over the summer. ...You go to the beach after school. ...You have spent a weekend enjoying the wineries. ...You have been to and enjoy the burgers at All American. ...You still make the long drive to the Riverhead Tanger Outlet even though there is one right in Deer Park. ...The Riverhead one is still better than the Deer Park one. ...You have tried to find the Amityville Horror House. ...You know who Amy Fisher is and where her house was in Massapequa. ...You had a beer in a brown bag on the LIRR going to a Yankees or Mets Game. Who cares if it is 10 o’clock in the morning. ...You miss the drive-in movie theater in Westbury. ...There are no zoos on Long Island, you have to go to the Bronx. 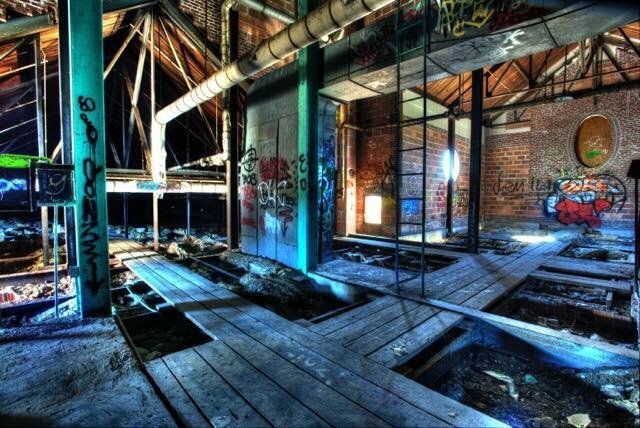 ...You have snuck into a building in the Kings Park Psychiatric Center. Inside the Kings Park Psychiatric Center. Photo by Anthony Loganzo via LongIsland.com's Kings Park Psychiatric Center Photo Gallery. ...You have been to Utopia at least once...and you bought something from the downstairs. ...Everybody knows a good pizza place. ...When someone says, "The End" you know exactly what they are referring to. ...You don’t know where to eat, so you go to a diner. ...We are all still excited about the opening of Sonic, Denny’s, and Dairy Queen. ...You have been to at least one Bar or Bat Mitzvah. ...You have been to Adventureland and you do not think the film does it justice. ...You know where every scene from the Godfather was filmed. ...You have been to a Dairy Barn and when you go out of state, no one has ever seen a drive-thru convenience store. ...You have been to the Walt Whitman Mall hundreds of times, but you never have visited Walt Whitman's Historic Birth Place which is right across the street. ...You want a bridge that goes to Connecticut. ...You spent your summer going to Splish Splash or you worked there. ...The students at any high school drive better cars than the teachers. ...It is always nice to walk and look in the local shops around Northport Village and Port Jefferson Village. ...You've never ordered a burger on the Island or in New York City and gotten one that has mustard on it. Ketchup only! ...You are proud about the fact that Long Island is home to one of the six professional lacrosse teams. ...You have a Z100 sticker on your car and you have listened to Elvis Duran since you were in high school. ​Do you have any of your own "You know you are a Long Islander when..." statements to contribute to our list? If so, let us know by emailing them over!